ENS’ track record is extensive, varied and international. We know sports, understand fans, work closely with the media and are unstinting in achieving to get outstanding results for our clients. Footiemoji is the brainchild app of three EPL players, John Terry, Ryan Bertrand and Jose Fonte. 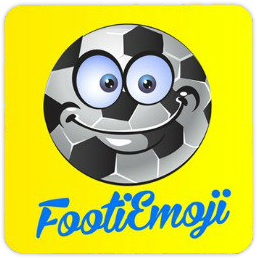 Following the style of popular emoji apps which are now commonplace in sport, Footiemoji was the first of its kind serving fans of the EPL. ENS was engaged to launch the app and delivered a campaign which achieved 57,561,927 OTS, international coverage valued at over £1.2 millon / $1.5m and which saw Footiemoji achieve top 10 status on the Apple store. 2015 saw England host the Rugby World Cup so VisitEngland, the government tourism agency, undertook a digital campaign targeting sports tourists. ENS was brought in to create #HomeofSport, an initiative promoting sports opportunities and venues throughout the country. The strategy was to engage over 300,000 sports fans over four months with the aim of finding a single destination, based on a public vote, that could be crowned England’s #HomeofSport. ENS exceeded target by by 150% with more than 500,000 people, including sports influencers, engaging with the campaign, which trended on Twitter nationwide. 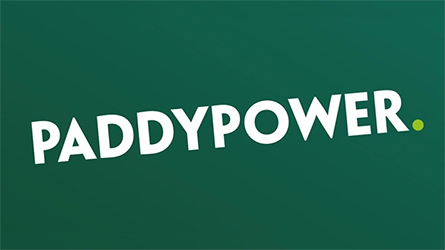 Paddy Power Risk Management, the B2B division of Paddy Power (previously known as Airton), wanted to raise its profile in consumer media during the FIFA World Cup Finals in 2014. ENS proposed creating unique stats for individual players and leveraging unusual information surrounding the tournament to create highly specific, fun content. National coverage was achieved across on 19 out of 25 match days, most notably a ‘Fitballers’ angle which ran in The Sun; this saw ENS provided the editorial team with unique facts for players featuring in that day’s key match. HOK Sports and Entertainment London has enjoyed extensive success since opening in London; there was a clear need to promote its brand and work further so the company turned to ENS. HOK’s rugby credentials were significant so ENS identified the opportunity for the brand to host a filmed roundtable discussion, featuring key influencers in the rugby sector. The Rio Olympics were imminent and the inclusion of Sevens was a key talking point; by leveraging this topic, the roundtable would be highly news-worthy and support HOK’s authority position within the sector. More than 130 publications and platforms ran a feature and video clips from the discussion, including international, national, regional, consumer rugby, sports trade and architectural press. This work created several direct invitations to discuss tender opportunities.